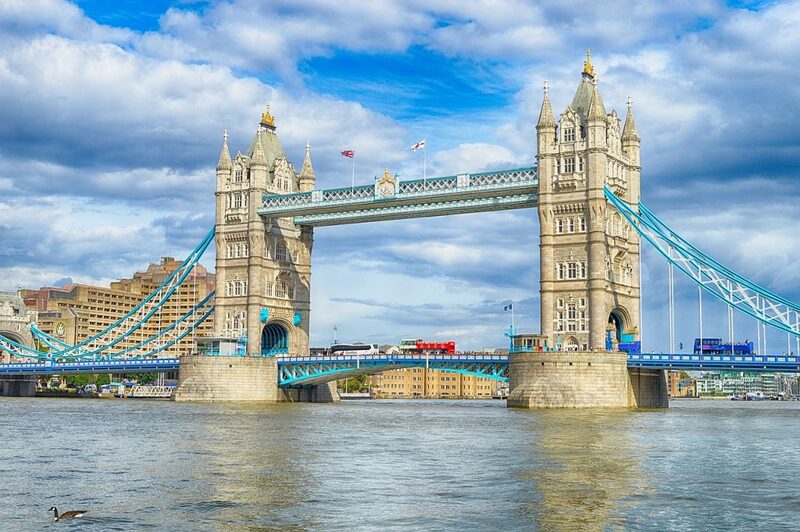 It’s hard to deny London is one of the most iconic and exciting travel destinations in the world. Yet at the same time, it’s hard to deny that it’s also one of the most expensive! 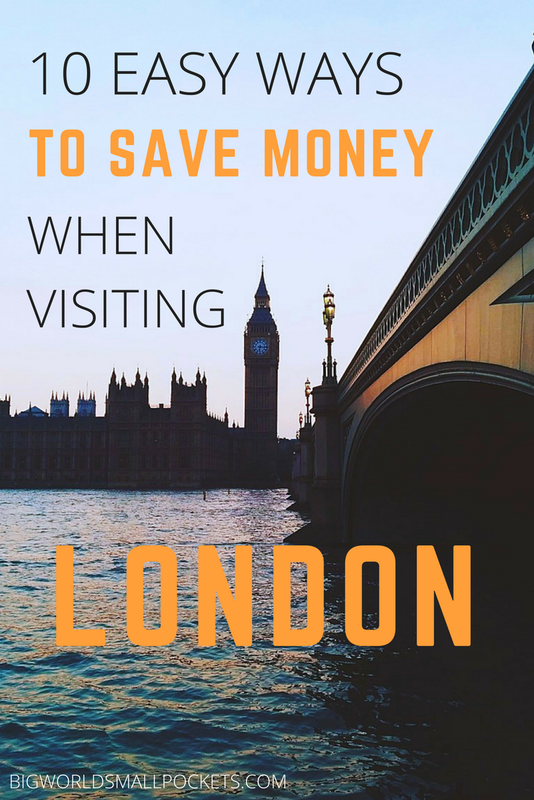 Having lived in this great capital myself for 3 years and, having recently returned as a visitor on my summer trip to Europe this year, I’ve picked up some awesome money-saving tips I really want to share with you. 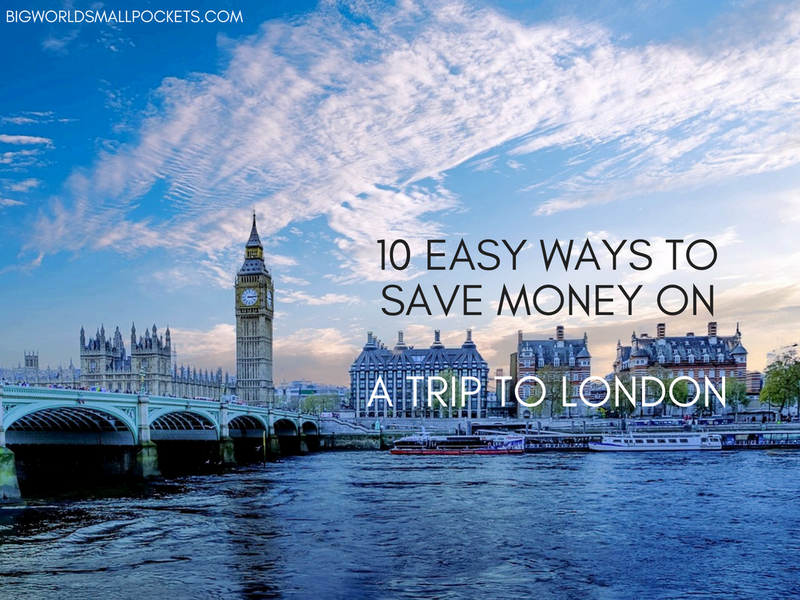 And so folks, here are my 10 easy ways to save money when visiting London. Definitely the best way to keep your travel budget low when visiting London is to invest in a Visitor Oyster Card to pay for public transport. An Oyster Card is essentially a ‘tap on, tap off’ travel card, that will save you a heap in fare prices on a multitude on public transport networks including train, buses, tubes and even boats! In fact, using a Visitor Oyster Card could save you as much as 50% on London travel fees compared to other paper tickets or paying cash. As such, it is well worth investing the £3 it costs to get one! Visitor Oyster Cards can be bought online and shipped to your address, meaning you can receive it before your London adventure even begins – saving you time and hassle once you do get to the capital. Simply pre-load your Visitor Oyster Card with credit (also available online) and then top it up during your time in London. 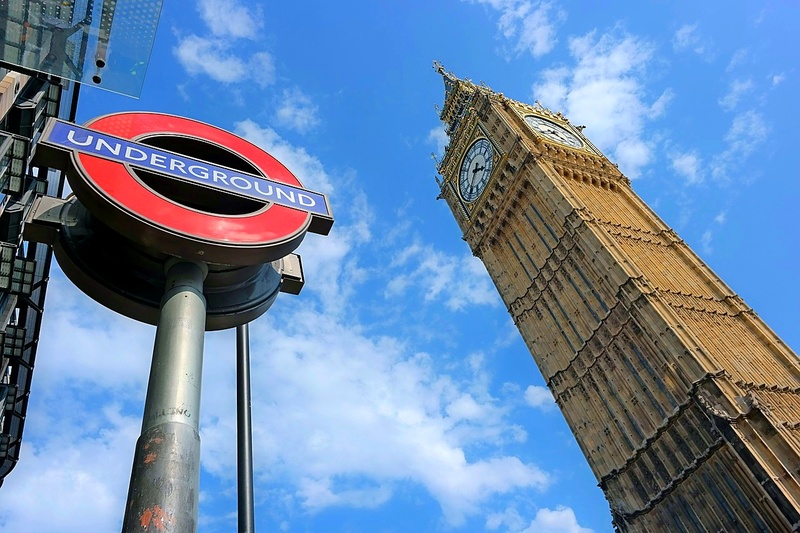 It’s also good to know that Visitor Oyster Cards can be used to cover your journey from 2 of London’s most popular airports into the city itself, including Heathrow and London City. Visitor Oyster Cards also offer daily capped travel rates, as well as discounts in leading London restaurants, shops and entertainment venues … Now what’s not to love about that?! Just enter your details below and I'll email it to you - simple! Alternatively, save even the £3 of buying an Oyster Card and just use your contactless bank card to ‘tap on, tap off’ in the same way at public transport stations and stops. You’ll never pay more than you would with an Oyster, as fares are capped in the same way, no matter how much you travel in a day. Essentially a city sightseeing card, The London Pass allows you free or discounted access (often with fast-track entry) to more than 60 top London attractions. 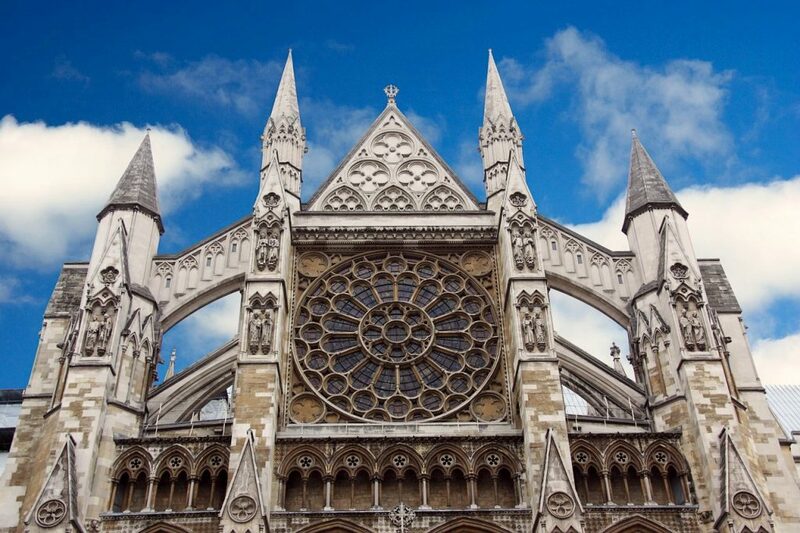 It’s been used by over 3 million people, probably because it offers excellent value for money if you want to explore many of the city’s most famous locations and buildings such as Westminster Abbey, the Tower of London and London Zoo. It also saves you time as visitor, reducing queue-waiting, supplying app itineraries and stopping any money fumbling on the day! 94% of customers recommend The London Pass, which is easy to buy and use with your smartphone and can be purchased for periods of 1, 2, 3, 6 and 10 days. The London Pass also offers a money back guarantee so you can sightsee and save with confidence. I used a similar city card – the Paris Pass – when I was visiting this other great European city recently, and loved it. For more info, you can check out my Paris Pass review here. If you’re keen to enjoy a London theatre experience during your time in the capital, but aren’t super fussy about exactly where you sit, then a great budget tip is to buy your tickets on the day. Just head down to Leicester Square around 11am and you’ll find booths that sell many tickets for shows that day at much cheaper rates. This is an awesome way to grab a bargain and enjoy a great musical, play or dance performance for a fraction of the price. Alternatively check out London Theatre Direct for more great deals available online, in advance. Another very easy way to save money when visiting London is to travel at off-peak times. In terms of public transport, peak times are when most people travel to or from work i.e. from 6:30am to 9:30am in the morning and 4pm to 7pm in the evening, Monday to Friday. Travelling outside of these times, means you will only be charged an off-peak rate which is usually a lot cheaper. And as a tourist, who wants to be battling the work crowds on the underground before 10am anyway! Another great budget tip when it comes to public transport is to avoid travelling through London’s Zone 1 if you can. Again this will result in cheaper fares – look out for the pink card readers and ‘tap on, tap off’ using these. Backpackers and hostels are a common option for those looking to visit London on a budget. However, sometimes budget hotels can actually work out better value if you’re travelling in a pair or are seeking that little bit more privacy. Both Premier Inn and Travelodge offer excellent, cost-effective hotel accommodation in various London locations and regularly run special deals. Click the links to their websites above for the latest offers, you may well be surprised! Another great accommodation tip to help save money when visiting London, is that many hotels in the capital, particularly those situated in business areas, offer much cheaper rates at the weekend. This is because most of their clientele come from the corporate world, meaning Monday – Thursday nights are the busiest for them. Dropping their rates on Friday, Saturday and Sunday nights therefore, helps these hotels attract guests from the leisure sector more and helps you save money too! Typical business areas in London include London Bridge, Euston and Waterloo, so check accommodation rates in these areas if you’re visiting the capital on a weekend. Food is likely to be a big expenditure when it comes to travelling London on a budget, so saving in this area can be a big help. As a starter, Boots (a popular pharmacy found on almost every street in London) offer meal deals every day of the week. These are perfect for lunch on the go in the city as they usually include a sandwich, wrap or salad + a snack like fruit or popcorn + a drink for as little as £3.29. A newsagent chain called WHSmith offer a similar style deal – also perfect for when you’re on the go. Supermarkets Sainsburys and Tesco are also good places to look for lunch and snack deals. 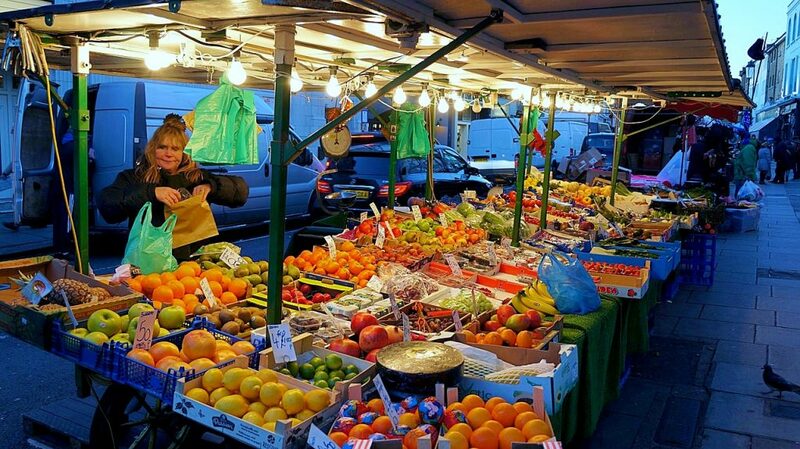 Peruse the local markets at places like Brixton, Lewisham or Dalston for cheap groceries, rather than sticking just to those in Zone 1. For dinner head to Brick Lane for delicious, cheap Indian food or to Kingsland Road for well-priced and excellent Vietnamese fare. With so many amazing free things to do in London, there’s almost no need to pay for any entertainment if you don’t want to. Be it one of the many excellent museums and galleries (like the V&A, British Museum, National Gallery or the Tate Modern) green spaces like Hyde Park or Kensington Gardens, strolling South Bank or enjoying markets such as Borough Market and Camden Market there is so much to do for nothing in this city it’s crazy. 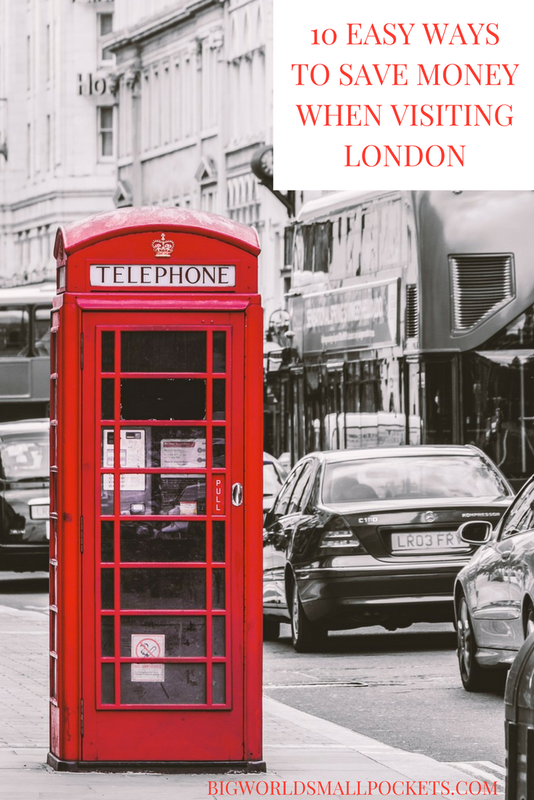 For more ideas, check out my post about the 10 Best Free Things to Do in London the Locals Love and start planning your budget itinerary now! Getting to London from elsewhere in UK is cheapest via the Megabus, essentially a budget coach company that operates largely out of Victoria Coach Station. Otherwise, budget airlines EasyJet and Ryanair offer budget European air connections. Look for flights to cheap London airports such as Luton or Stanstead and then use National Express couches to get to the city centre from there. 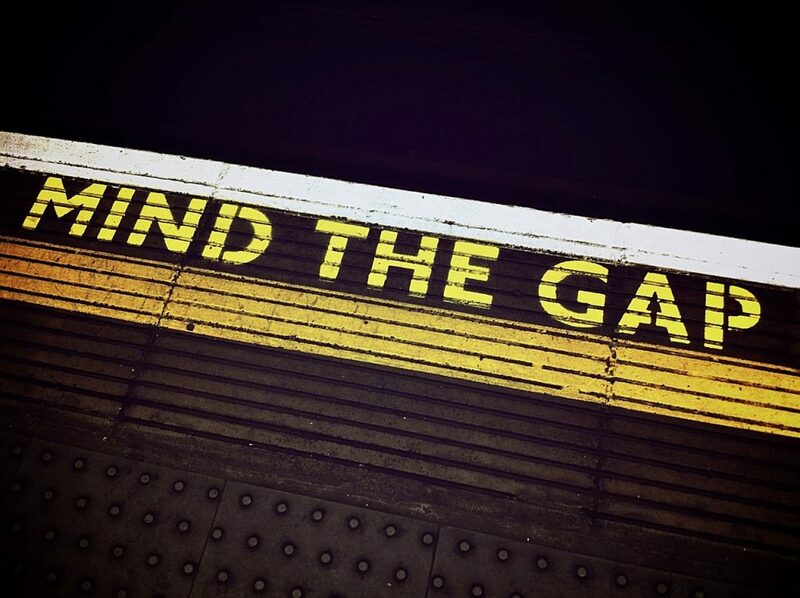 If you’re arriving from Gatwick Airport, shun the Gatwick Express by hopping on a Southern Train to London Bridge or Clapham Junction for a fraction of the price. So there you have it, 10 easy ways to save money when visiting London. Have you visited this awesome city on a budget? What were your top money-saving tricks? Is there a difference between the visitor oyster and the regular oyster? We’re in London now and I had an old Oyster from my last trip that I just topped up. I really wish that paying via contactless cards was an option for people w/o a UK bank! Since you can get the weekly caps with contactless rather than just daily on the regular Oyster cards. But the transaction feeds would negate any savings =( Totally agree about the markets and free museums – I love how many awesome museums in London are free! And I didn’t know that about off-peak hotels in the business areas, good tip! Hi Kasia, that is really wonderful to hear – so happy you found my tips useful! Hope you have a fantastic conference in London and if you get to explore the city a bit too at the same time … even better!